The dreaded summer slide is a phenomenon that happens every summer when students mysteriously forget most of what they learned during the school year. The key to preventing this is to keep your child's mind busy. Here are some things you can try this summer. 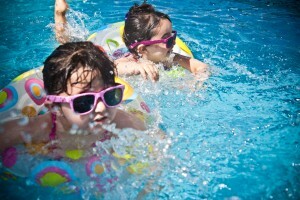 The summer heat begs us to go swimming, and that is an excellent idea. Getting your child involved in some physical activity will make them burn off energy and build a stronger brain. Of course, swimming is just one option. There are plenty other things your youngster can try to stay physically active. With so much free time on their hands, summer brings the perfect opportunity to learn something new. Maybe your child can try cooking or learning a new language. Trying something different will teach them a lot, they can even learn about themselves. A book club is a great way to meet other children who share your child’s same interests. Not to mention that reading can improve your youngster’s vocabulary. Head to your local library or bookstore and ask if they have any summer book programs for children. Why not sign your child up for tutoring in Sebring? There are plenty of reasons why summer tutoring is a good idea, including the fact that it can help your child get ahead and prepare for the upcoming school year. The Tutoring Center, Sebring FL has the perfect tutoring program to meet your child’s needs. Give them a call at (281) 346-8120 to learn all about their programs and have your child try tutoring in Sebring this summer.